EAST BRUNSWICK, N.J. -- A New Jersey school district is adding armed police officers to its security plan. The East Brunswick school board decided the officers will supplement its existing staff of 71 security guards, who are all retired police officers. The action comes after a shooting left 17 students and faculty dead at a school in Florida and also follows the arrest of an East Brunswick high school student who is accused of posting an online threat. A parent and a student alerted school officials about the threat and the student was charged with making a terroristic threat. At its February 15, 2018 Meeting, the East Brunswick Board of Education unanimously approved a resolution to engage the East Brunswick Police Department to have armed police officers at all of its schools throughout the entire school day to insure the safety of our students and staff. The armed police officers will supplement the District's already existing staff of 71 security officers - all of who are retired police officers - to further enhance the security at all of East Brunswick Board of Education facilities throughout the school year. It is the Board of Education and Superintendent's commitment to take all necessary measures to insure that our students, staff and visitors remain safe and secure in our schools. 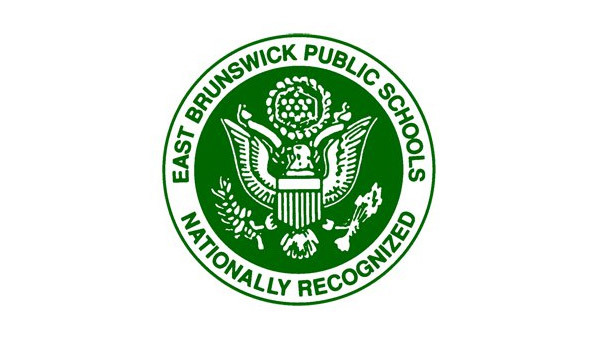 The Board of Education and the Superintendent wish to thank East Brunswick Township and the East Brunswick Police Department for its willingness work collaboratively with the District to provide armed police officers throughout the school year to enhance school security. This morning, a high school student was arrested and charged with making a terroristic threat based on an on-line posting. This on-line posting was brought to the attention of District staff by a parent and student at the beginning of the school day. The offending student was immediately identified and escorted to the Main Office by a District Security Officer. East Brunswick Police Officers questioned the student and then took him into custody and will be charging the student with making a terroristic threat. The Board of Education and Superintendent thank the parent and student for reporting this very serious matter and also wish to thank the District's Security Officers and the East Brunswick Police officers for their swift action to ensure the safety of our students and staff. It is imperative that whenever anyone learns of a potential safety threat that they immediately notify the District and the East Brunswick Police Department. As a community, we all have to remain vigilant and work together to ensure the safety of our students and staff. Democratic New Jersey Gov. Phil Murphy on Tuesday will hold a news conference about school security preparedness.